At least four persons including Manang Air Pilot CB Gurung have been also been injured in the crash, the report added. 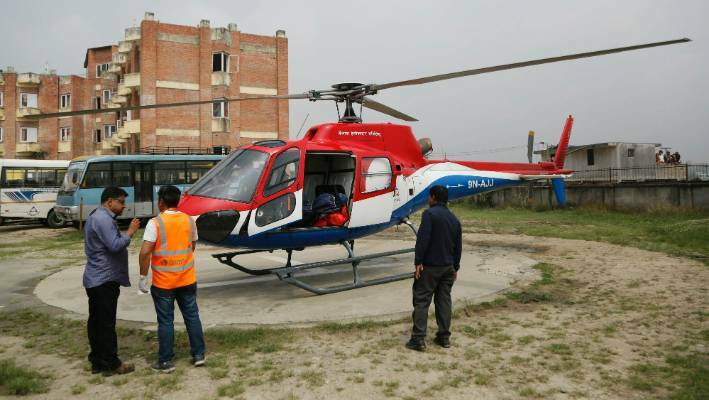 The Summir Air plane was reportedly en route to Kathmandu from Lukla. In spring, domestic airline companies conduct over 50 flights everyday to Lukla, known as Tenzing Hillary airport. Unidentified officials said Assistant Sub-Inspector Rudra Bahadur Shrestha succumbed to his injuries while being treated in Kathmandu. The Twin Otter plane was preparing for take-off from Tenzing- Hillary airport at Lukla, which is considered one of the most risky in the world because of its short runway and perilous approach surrounded by mountains.